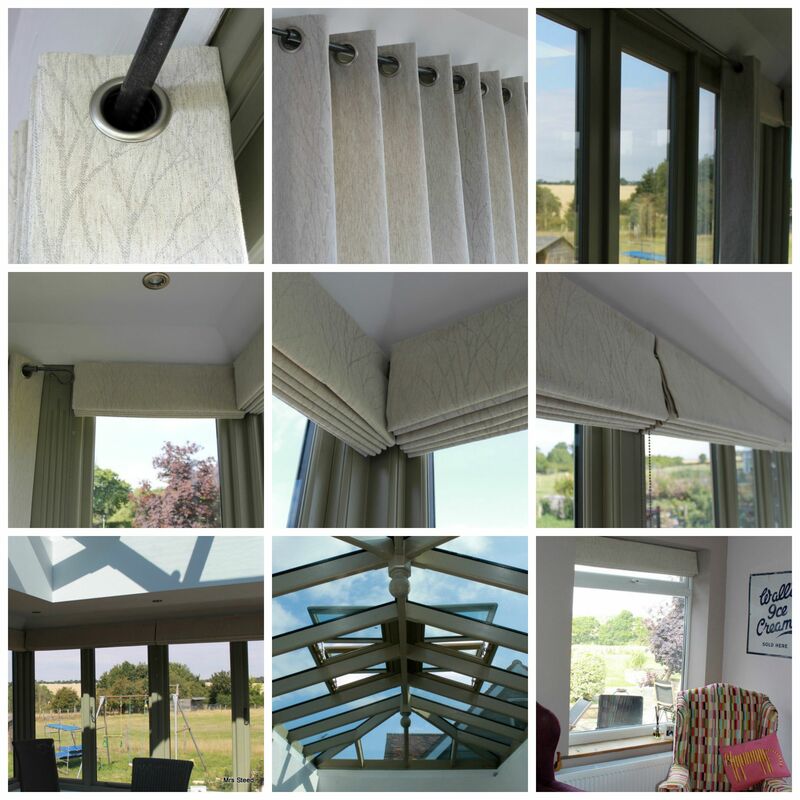 I recently had the pleasure of making a large number of blinds & a pair of eyelet curtains for a beautiful orangery style dining room/family room which had been expertly built by its owner as an extension to a stunning kitchen. The room, which has lovely countryside views is fully glazed on two sides & also has a huge lantern roof. My client loves colour but after some consideration chose a neutral but nevertheless stunning fabric which doesn’t detract from the views. The fabric chosen was from the Voyage natural living collection; Fallon in Birch colourway. A stylish curtain pole, Shepherd’s crook finials with matching window & door hardware in a pewter finish were supplied by ‘From the Anvil’. To complement the pewter hardware & silver tree branch pattern in the fabric we supplied ‘Antique Silver’ roman blind chains which are of course fully compliant with child safety regulations.